Within just three months, Avi Yashchin went from helping manage a $42 billion Lehman Brothers portfolio to working out of a makeshift office wedged between two of his four roommates' beds. After the Lehman Brothers collapse left him jobless in 2008, Yashchin started CleanEdison, a New York-based job-training company that focuses on the green-building industry. It was a move that forced him to revamp his approach to business. "You always have someone else to do things for you in a big corporation," he says. "The pendulum really quickly [swung] the other way." To avoid running into his roommate's girlfriend in her towel, Yashchin interviewed potential hires at the Starbucks across the street from his apartment. He became a pro at assembling furniture and replaced the legal counsel he'd had at his beck and call at Lehman with a $200 database of legal documents. "We did everything on a shoestring," he says. But over three years, Yashchin grew his revenue to more than $3.5 million last year and hired 22 full-time employees. 1. Read the fine print on your corporate employment agreement. When leaving a company to start your own, closely review your written employment agreement, says Ross Kimbarovsky, a former attorney who worked with small businesses on intellectual property issues for 13 years before starting his own company in 2007. Some companies will include confidentiality and noncompete provisions that bar you from disclosing their proprietary information and from working in a certain market or geographic radius for a period of time. Just because such restrictions are in writing, doesn't mean they're valid or that you can't change them, Kimbarovsky says. In such cases, professional legal help is advisable. 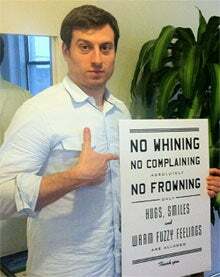 "The last thing you want is your former employer threatening to sue you when you are starting your [company]," he says. 2. Leverage your former employer. Before Richard Palmer co-founded Nehemiah Manufacturing Co., a Cincinnati-based maker of baby-care and yard maintenance products in 2009, he had worked for Procter & Gamble, Ernst & Young and Deloitte. Although he hadn't worked at P&G for eight years, Palmer and his business partner, also a former P&G employee, had stayed in touch with contacts there. 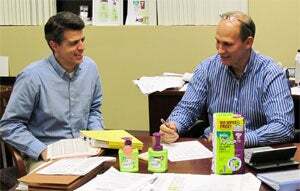 Their connections enabled them to partner with P&G on a licensing agreement that today is Nehemiah's primary revenue source. Maintaining relationships with former corporate colleagues is one of the best ways to expand your business, says Palmer, who also leveraged his connections at Deloitte to get clients when he worked as an independent consultant before starting Nehemiah. 3. Be prepared to put in even longer hours. Often, people want to become their own boss because they're tired of the long thankless hours in a corporate job. But be wary. "If you are making this change because you are fed up with the corporate world and no longer want to work 12 hours a day…. you might be in for a shock," says Kimbarovsky, who often worked through the weekend when starting crowdSPRING, a Chicago-based design and writing services company. "You're going to be doing a lot of stuff on your own." 4. Look outside for help. Because you no longer have vast corporate resources at your disposal, everything falls on your shoulders in a small business. That means it's important to seek outside help and expertise. Palmer often looks to suppliers for product ideas. "We can be faster and have a lot higher quality when we are willing to team with others to bring things to market," he says. Making outside connections also means leaving the office and picking up the phone more often than you did in your corporate job. "I went from somebody who people were calling all day to [making] a hundred phone calls a day," says Yashchin. 5. Choose a target market wisely. In a large corporation, it's easy to think in terms of capturing very large markets, but as a small-business owner, you'll probably need to zero in on a specific consumer segment. 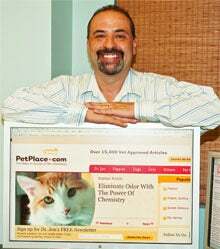 "In the corporate world… you really have the power to get the entire market," says Diego Saenz who left Wackenhut Corp. in 2000 to run PetPlace.com, a Boca Raton, Fla.-based pet health and information site. "As a start-up you are going to get a subset of the entire market." Choosing that subset may require some trial and error. In the early stages, PetPlace.com focused on the veterinarian market until Saenz recognized there are a lot more pet owners than veterinarians. In 2006, he and his partner sold the veterinary website and focused on the pet owner market, a move that tripled revenue to $3 million in 2010. In large corporate bureaucracies, major decisions are seldom made in a hurry. But as an entrepreneur, be ready to take more risks and make more decisions on the fly. Nine years into running PetPlace.com, for example, Saenz realized the company needed to improve its cash flow. Without a business plan or a warehouse to store inventory, he bought a thousand bags of kitty litter to sell online as an e-commerce experiment. A year later, after expanding its product selection, the e-commerce site generated sales of $1 million and today accounts for a significant part of the business. "When you are building a startup. . . you need to be more aggressive about taking risks to build your brand," Saenz says. "We didn't have the answers, but we figured it out along the way." Related: Quiz: Do You Have What It Takes to Be an Entrepreneur?